40.80 Kgs of Ganja was seized from 3 people near Bantwar Bhavan Ganadhi nagar. The accused are Shafen Sanadi (Gandhinagar), Sheetal Sanjigol(Hukkeri), Shabbir Attar (Vaibhav Nagar. The police have seized one auto, one bike, two mobiles from the trio. 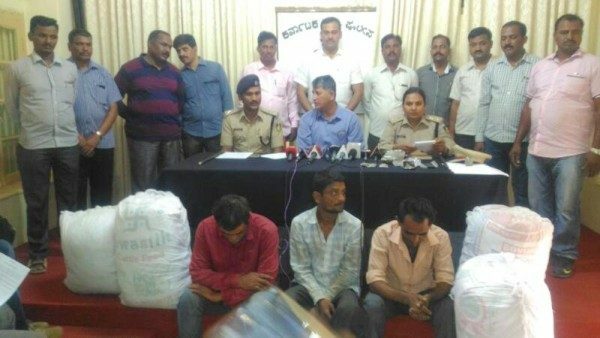 The raid was led by CCIB inspector BR Gaddekar. Ok good job our belgaum police.